The Taliban says that while on one hand the government initiates peace talks, it continues to kill their soldiers in custody. 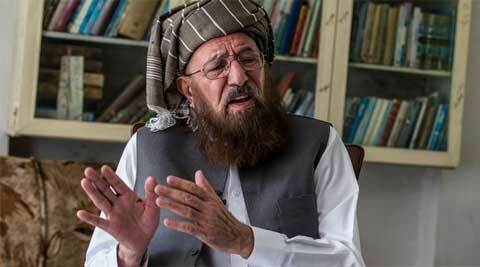 Samiul Haq, chief of Taliban panel, had a ‘sleepless night’ after news of the attack. Pakistani negotiators on Monday cancelled a scheduled meeting with the Taliban after the insurgents claimed they had killed 23 soldiers kidnapped by them in 2010, dealing a severe blow to the fledgling peace process. State negotiators withdrew itself from the meeting that was supposed to be held on Monday 17th February, saying circumstances relating to negotiations with the Pakistani Taliban were not heading in the right direction. Irfan Siddiqui, coordinator of the government committee formed to hold peace talks with negotiators representing the outlawed Tehrik-e-Taliban Pakistan (TTP), said after the killing of 23 Frontier Corps (FC) soldiers, holding talks with the group was a futile enterprise. In a statement, Siddiqui said an emergency meeting of government dialogue committee has been summoned tomorrow. He said the meeting will discuss the current situation and future course of action. Siddiqui said the committee has deplored and condemned the killing of FC personnel saying such incidents will hamper the process of serious and result-oriented negotiations. In a video statement sent to media last night, Mohmand Agency Taliban chief Umar Khalid Khurasani said that they killed the FC soldiers on Sunday to avenge what he said was the custodial killing of Taliban fighters in Pakistan. The soldiers were kidnapped in 2010 from Shongari checkpost in Mohmand Agency. The TTP statement lamented that on the one hand the government has initiated the process of talks, on the other it continues to target TTP members. “The killing of FC personnel is the revenge for the blood of our associates,” it said. “We want to make it clear to the government that we know very well how to avenge the killings of our members,” the statement said, warning “if the government did not change its trend, our reaction will be more severe in future”. The group also stressed that they will soon release another video showing the killing. The video emerged hours after local media reports said the TTP was ready for a ceasefire, which they said would be announced within 24 hours. The Pakistan government and the Taliban are engaged in peace talks in a bid to end the decade-long insurgency that has gripped the country. Meanwhile, Maulana Yousuf Shah, who acts as contact person for the TTP, said news of the attack on FC personnel had given Maulana Samiul Haq, chief of the Taliban negotiating team, a “sleepless night”. He deplored the incident and said the sentiments of the TTP committee over the issue were no different from those of the government committee. Shah added that Haq would soon hold a meeting with the top leadership of the TTP and that the Taliban negotiating committee would soon issue a statement over the attack. Shah expressed his disappointment over the government committee’s decision to postpone today’s meeting with Taliban negotiators. Legendary freedom fighter Bhagat Singh’s ancestral house, school and his village in Punjab province in Pakistan will be restored under a Rs 80-million project. “We have allocated Rs 80 million for restoration of the house and school of Independence war hero Bhagat Singh. The amount will also be spent for the uplift of Singh’s village where clean drinking water is not available and drainage system is in bad shape,” Faisalabad District Coordination Officer Noorul Amin Mengal told PTI. Mengal said the people living in Faisalabad “take pride in the fact that Bhagat Singh was the son of their soil” and want the place to be known as “the town of Bhagat Singh”.